CONCERT & TOUR ALERT | Jeezy 'Trap Or Die 3' Tour Dates & Info ~ Phresh Hott New! 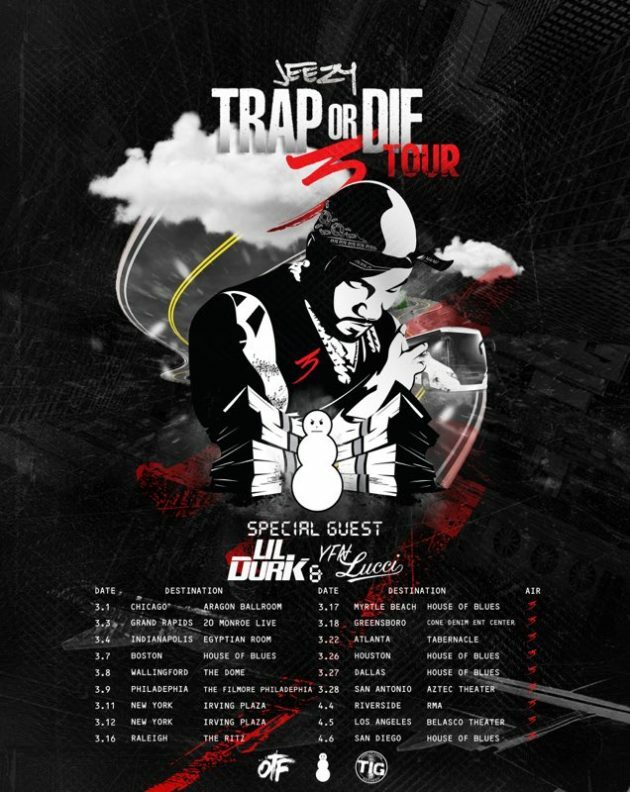 Jeezy announces ‘Trap or Die 3 Tour’ kicking off March 1st in Chicago with special guests Lil Durk and YFN Lucci. The tour is set for 18 dates which will be Boston, New York, Atlanta, Houston, Los Angeles and many more. Get your tickets now at www.livenation.com. See an itinerary below.